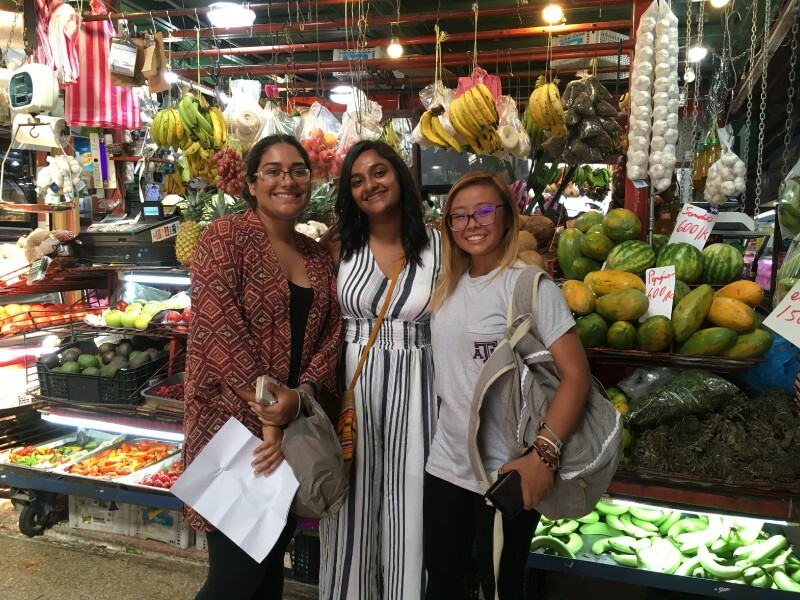 So far, our students have indulged themselves with local foods and fruits from the farmer’s market and from Heredia’s central market, have drunk quality coffee at Britt Coffee Tour ☕️ and have spotted 🐒 , toucans, butterflies🦋 and waterfalls at La Paz Waterfalls Gardens! Yet, these first days of adventure couldn’t be complete without a visit to the local mall and a ride in the public bus 🚌 , just like the locals do! So for you that reads us, stay tuned, because more of this adventure is to be recorded! We invite you to become part of this amazing adventure that Francis Parkers students are starting in Costa Rica. It´s going to be a week full of adventure, learning, friendship and self-growth. Day 1. The group landed in Liberia airport, right away we got into our big bus and drove to Flamingo beach were we stayed at Casa del Toro, where the adventures starts. Day 2. 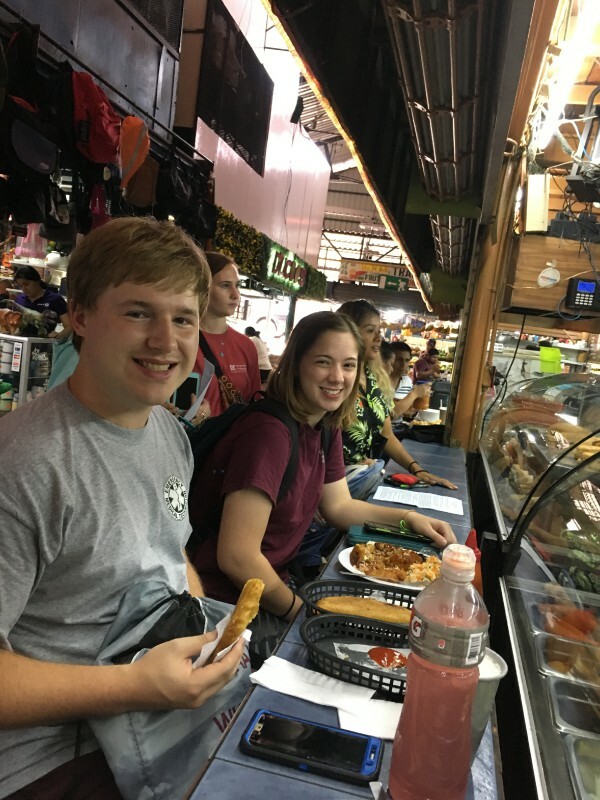 The students got to enjoyed their first Costarican meal. We had a free morning on which we enjoyed of friend time on the pool, before we headed to the awesome experience of a Catamaran ship. On the boat the students got the chance to swim, snorkel and great food. Day 3. One of the longest days of the trip. We got up early morning enjoyed our breakfast and had the chance to visit Playa Conchal, right after this got to our hotel check-out and got on the bus on our way to Monteverde, in the road we stop in Santa Cruz, la ciudad de Folclor Costarricense, here we got to know the town and asked locals about their community, after this got back on the bus for another 3 and half hour ride to the Mountain (Monteverde). Once in Monteverde we got oriented on what was going to be the rest of our week and got to know our host families. 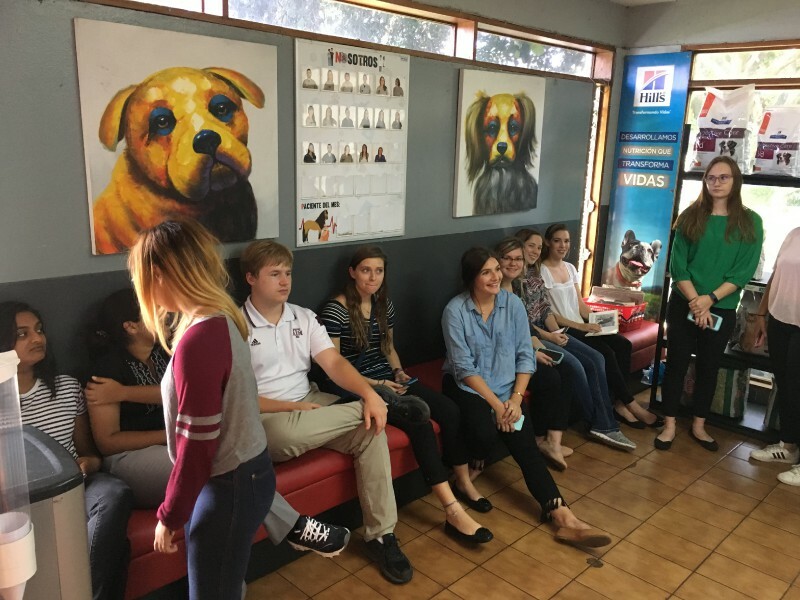 Day 4.Starting the spanish class day, the kids were divided in small groups of 3-4 people to have a personal experience learning spanish and learning about the culture of Costa Rica. The next days, there will be classes in the morning and will be divided in 2 groups(Pura Vida & Tuanis) for the afternoon activities. 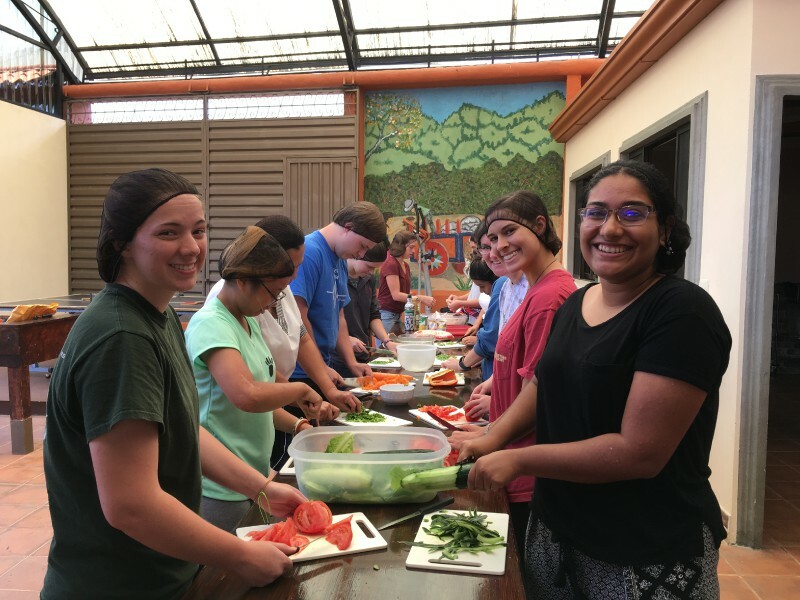 Pura Vida Group: We had a delicious arroz con pollo in Sabor Tico followed by the most adventurous experience for many of the kids. Zip lining through 7 cables in the Cloud Forest and a vertigo jump that had everyone with an adrenaline rush. 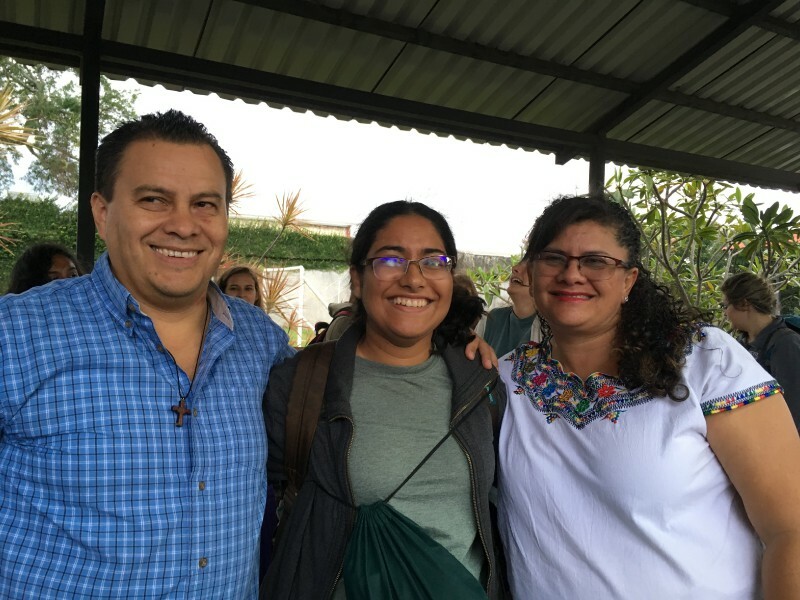 Tuanis Group: We had the experience to visit a sustainability farm called Life Monteverde. Where we had and amazing lunch made with different ingredients grown in the farm. As well got the chance to know part of their project and what they do. 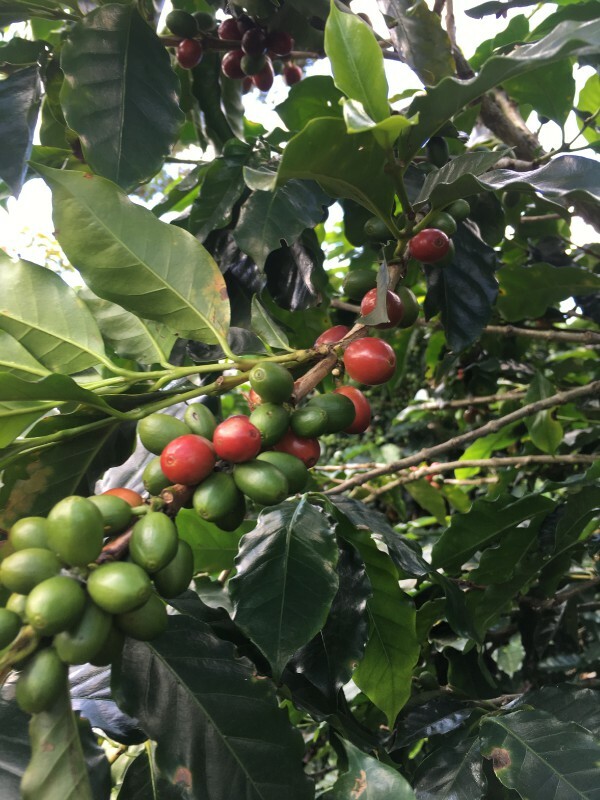 We walk through a Cafetal and saw the difference between healthy coffee plants and sick ones. Right after we started helping them in the farm, watering trees/plants and working with compost. 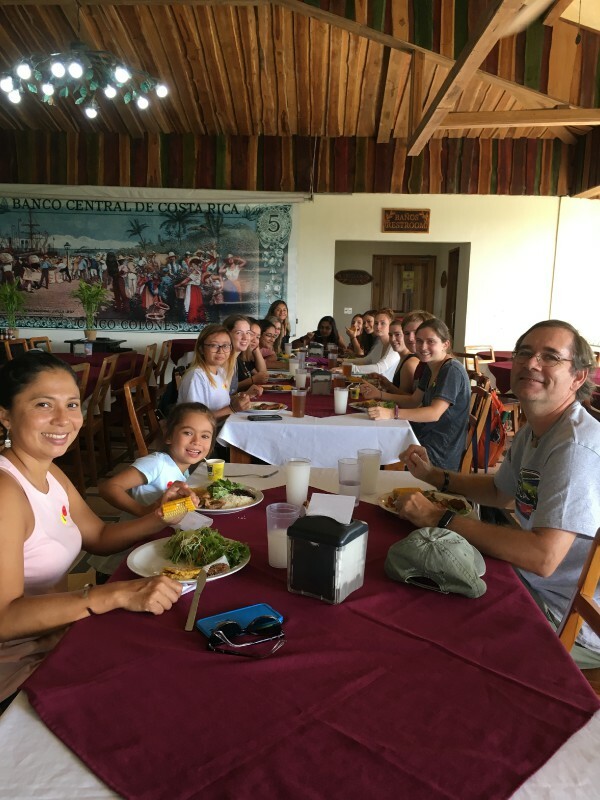 Pura Vida Group: Our afternoon started with a homemade lunch from El Trapiche Tour, we then were divided in 2 groups to learn about 3 important processes of 3 products that are planted in Costa Rica. 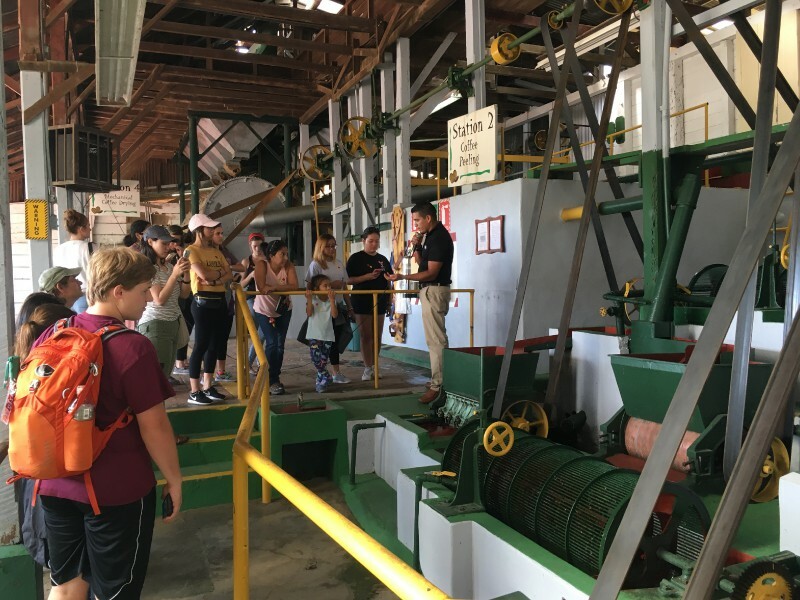 We learned about sugarcane and its properties and ways of processing the sugar, cacao beans and how to end with a delicious chocolate and coffee beans; its importance for Costa Rica and how to get from the bean to the cup of coffee. Tuanis Group: Our afternoon started with another great lunch made in Life Monteverde, right after we split into 2 groups and flowed-up with the work we started doing the day before. Stay in touch for further details of our next days in Costa Rica! NMSU Aggies están en Costa Rica!! Les doy la bienvenida y les invito a formar parte de esta gran aventura de los chicos y chicas de la Universidad Estatal de Nuevo México en Costa Rica. Serán dos semanas de aprendizaje, español, aventura, amistad y sobre todo mucha diversión. Aquí una breve reseña de lo que ha sido esta primera semana en Monteverde para el grupo. Día 1: Llegada al Aeropuerto Juan Santamaría, la mayoría de los chicos pasaron la noche en La Dehesa B&B, cómodo lugar en San Joaquin de Flores donde tuvieron la oportunidad de descansar antes de la aventura. Día 2: El camino a Monteverde sin ninguna duda es una gran experiencia para muchos, subir las montañas entre guindos y camino de piedra con vistas increíbles del Golfo de Nicoya. Los chicos estaban muy emocionados y nerviosos de conocer a su familia tica. Una experiencia donde podrán conocer más sobre la cultura tica, sus costumbres y aprender mucho mas español. Día 3: El día inicia con clases de español, donde cada estudiante poco a poco va mejorando su español, gramática y ortografía. Para el almuerzo los chicos tuvieron la dicha de disfrutar de una clase de cocina y aprender cómo hacer tortillas, cocinamos un delicioso arroz con pollo, ensalada rusa y tortillas con fresco de maracuyá. Seguidamente ya con mucha energía, aprendieron a bailar salsa, merengue y un poco de cumbia, todos mostrando sus mejores movimientos en la pista de baile! Por la tarde hicimos una caminata a Santa Elena para conocer los principales negocios, supermercados, restaurantes, etc de la zona y disfrutaron de un rico helado de la Fabrica de Quesos. Día 4: Feliz Año Nuevo! Este día, muy esperado por todos, realizamos el canopy tour en Sky Adventures. Una actividad llena de aventuras y perfecta para vencer el miedo a las alturas, no hay duda de que los chicos pasaron un tiempo increíble. Día 5: Clases de español nos esperaran para iniciar nuestro día, es increíble como los chicos cada día practican mas su español, conocen palabras nuevas y mejoran. Por la tarde nos esperaba un día de trabajo en Life Monteverde, finca sostenible cuya producción es principalmente del café. Los chicos aprendieron características importantes en una finca sostenible y acerca de la importante relación que tiene Life con un grupo de 45 nicaragüenses que vienen a Costa Rica por unos cuantos meses durante la época de recolección de café. Espero esten atentos para conocer mas sobre los ultimos dos dias en Monteverde y el fin de semana! 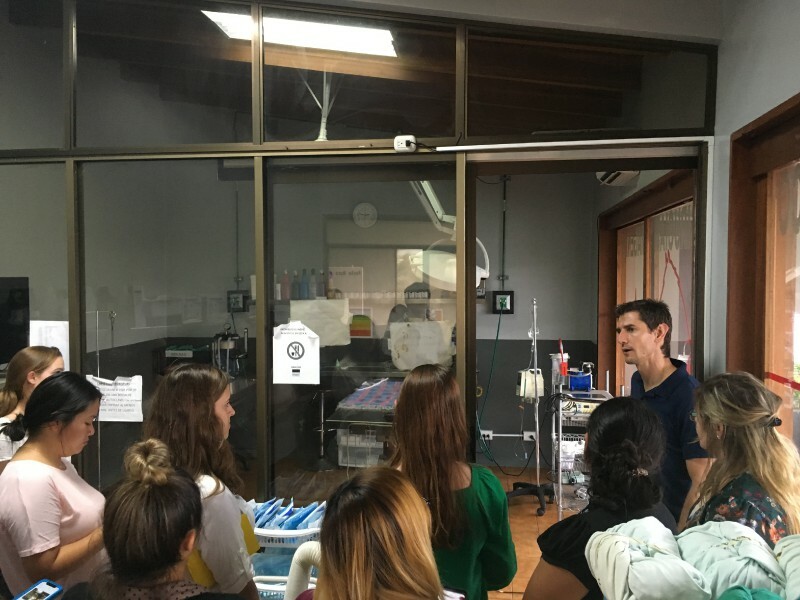 VMS in Costa Rica 2019! The adventure began once they landed in Costa Rica. A warm and humid weather was waiting for the group to come and feel the tropic temperatures leaving behind the cold and the snow from Colorado. All these kids are here to learn Spanish and to have a full experience in how we costaricans live our life. Learn about our culture and traditions in different ways is also part of the plan of this amazing journey. The first day in Costa Rica after leaving the airport we went to CPI School in Heredia to have an orientation for the group. It was about some important aspects to have in mind during all the days that they are going to be here. One by one the host families were arriving to the campus looking forward to meet their new "hijo/hija". 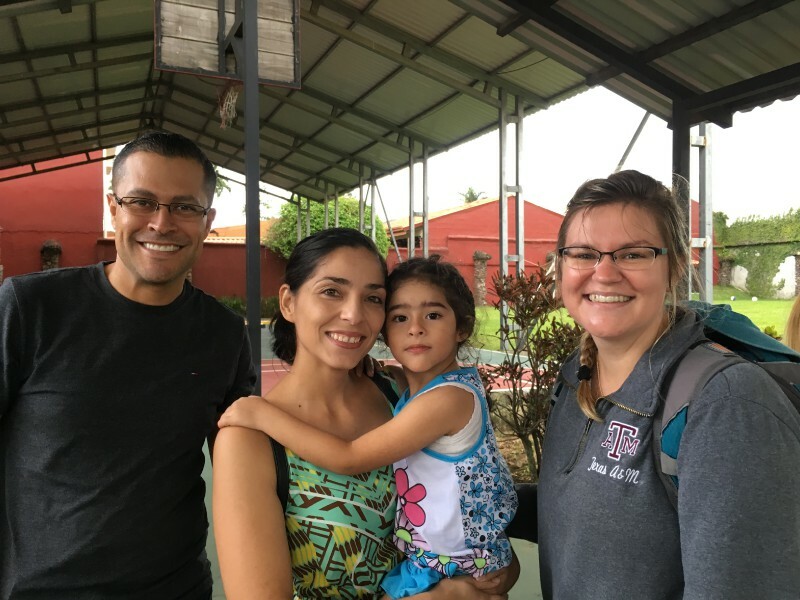 Some kids were nervous about meeting their "familia tica" but after all everything went well. Later one by one every host family leaved the school to go home and have dinner with the new member of the family. Day 2: Beach day in Manuel Antonio. We visited the National Park which is one of the most visited NP in Costa Rica. After a long trip on the bus. The group enjoyed watching animals that probably most of them didn´t know before. For example sloths, huge iguana, monkeys, "Jesus Christ lizard" and some others. It was a sunny and beautiful day. The kids loved the beach and the water. They got a great time in the paradise and one they got tired we started our way back to the central valley. Day 3: On Sunday we did something very "costarican". We went to a stadium to watch a local soccer game (Alajuela against Perez Zeledon). They ate the typical snacks that you can find in any local game. They were happy supporting and making some cheers for our team but it wasn´t enough cheering because Alajuela lost the match (final score 1-2). Later on we went to San Jose which is the capital of Costa Rica. We walked around the main streets where almost all the museums and theaters are located. A mini tour inside of the National Theater guided by Catalina was good for the kids to learn part of the costarican history. 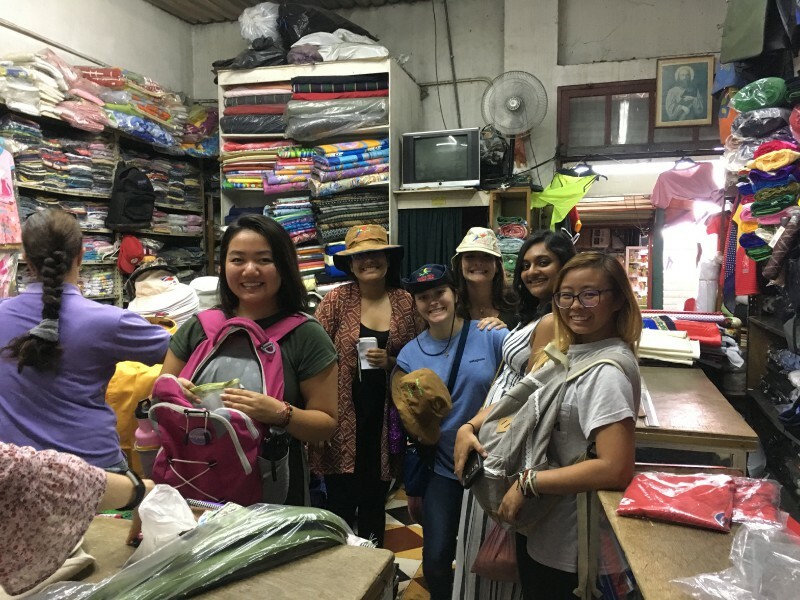 And then we finished the weekend with some shopping at the "Mercado Artesanal" where they bought souvenirs for their families. 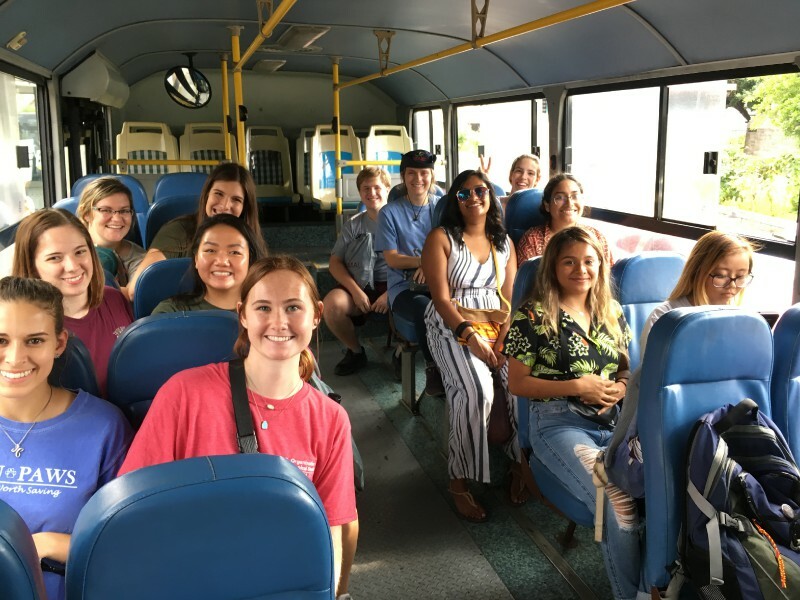 Day 4: On Monday the teachers pick the kids up from their houses to show them San Joaquin and walk around the town before taking them to the Spanish classes at the CPI Heredia Campus. During the week they are going to be learning the language in the afternoons (4 hours per day). After classes they always have time to play soccer or basketball or volleyball in the fields located in the patio of the campus. Then once the sun starts going down the students get ready to come back to their houses and have a nice dinner with their "familia tica". Day 5: Today is a unique and special day. Do you know why? Well because today we are going to visit a Herpetological Refuge located in Santa Ana. There they have reptiles and amphibians but not just that. They have other wild animals that were damaged by an accident or by bad people who was trying to hunt them. Some others are in the refuge because their old owners didn´t want them anymore so they leave them behind. They kids were excited to see all those animals. 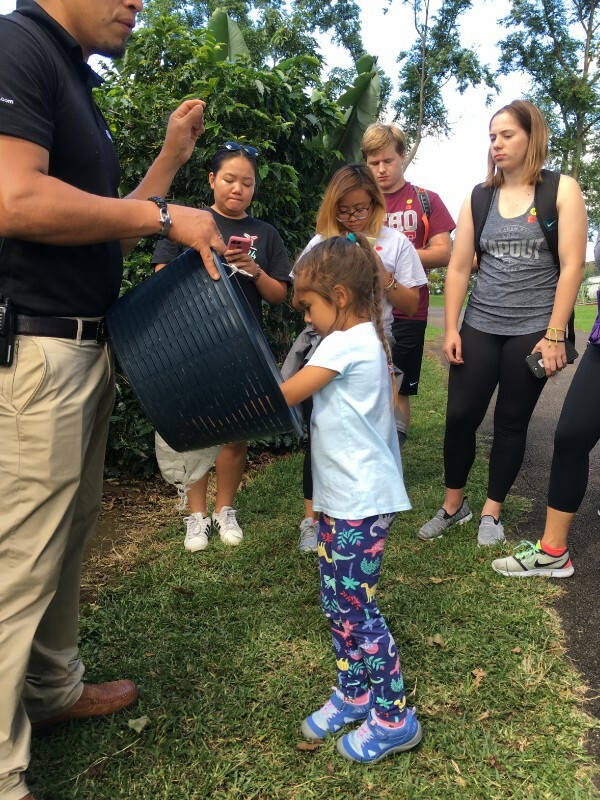 They also had the chance to feed some animals like monkeys, a baby deer, birds, sloths, badgers and turtles. After an amazing morning with the animals we had lunch in a very yummy restaurant to recharge energy and keep learning Spanish at the CPI School. 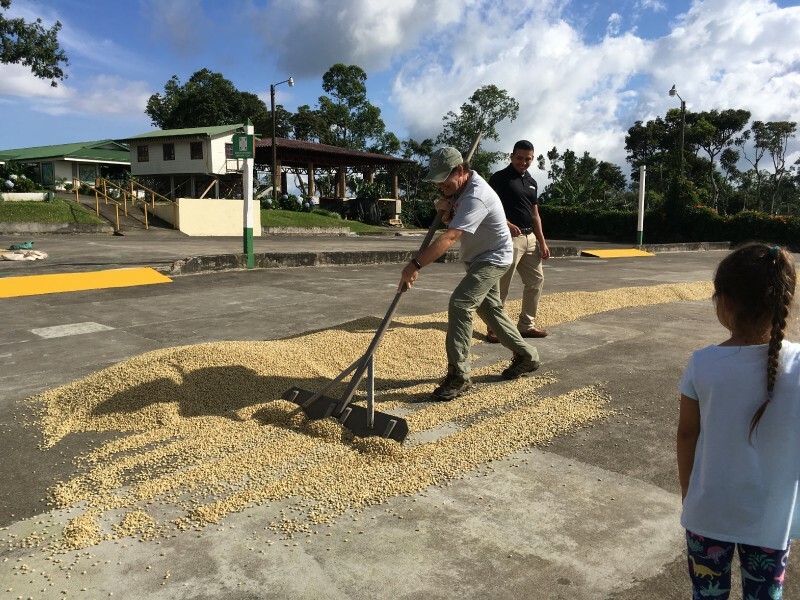 This VMS story in Costa Rica will be continued as the days pass by. Tamu Biomedical group is here! 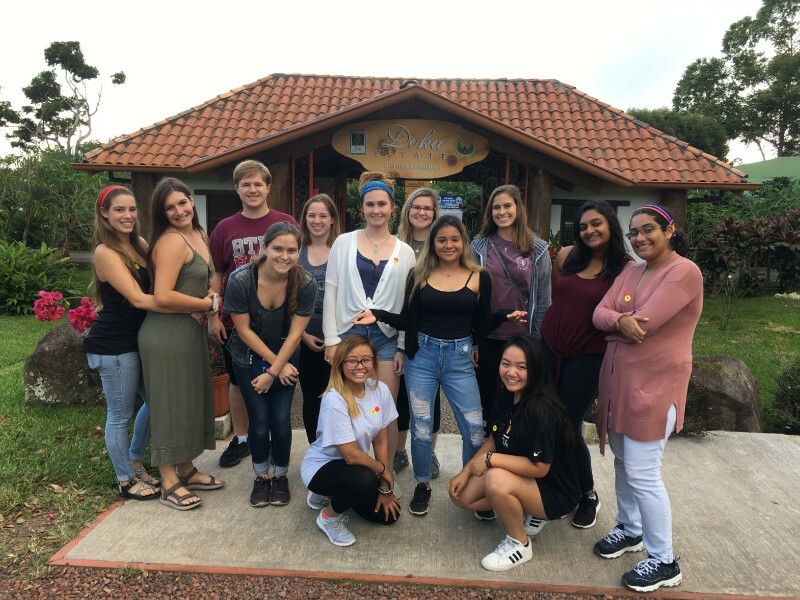 After a wonderful introduction to the Costa Rican culture and Spanish language, the students were ready and anxious to experience more adventures in the beautiful province of Guancaste, Costa Rica. 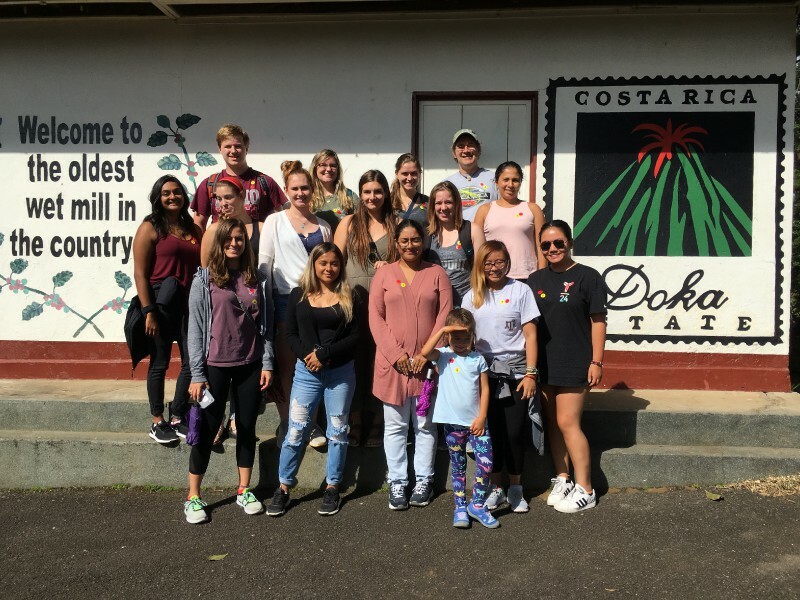 Texas A&M students arrived to Guanacaste and the peaceful town of Potrero where they would meet the families they are staying with for the following week. 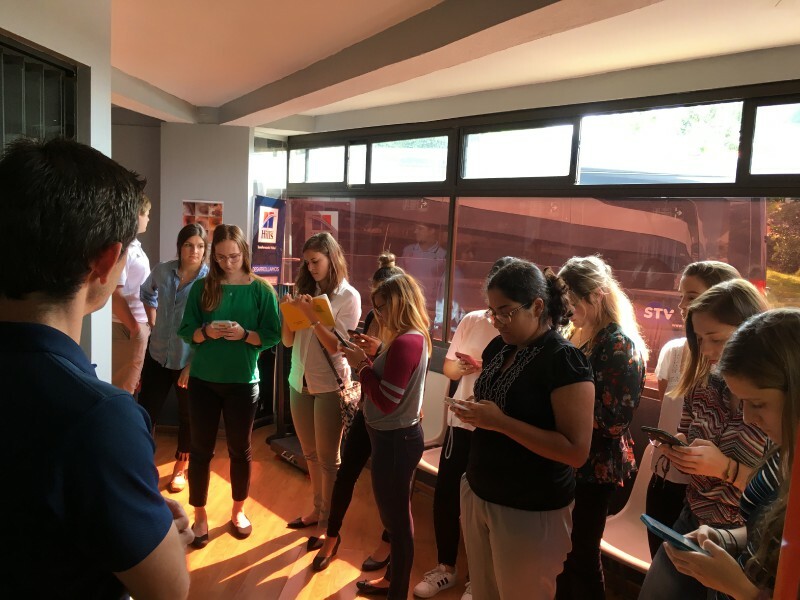 Monday was a day full of learning Costa Rican culture. This program is full of opportunities to learn the characteristics of the country and everything special it has to offer. The students woke up very early and excited to start their first day of classes at CPI, where they met their teachers. When we refer to the beautiful country of Costa Rica, we not only refer to the mountains, rivers and white sand beaches, but some of the incredible experiences that are unique to this area. We started the week learning about an event that is very famous in Costa Rica and worldwide. After Spanish classes, we rushed back to our house to prepare for this very special event. We traveled to Ostional beach where Texas A&M students were witnesses to an unforgettable experience-some might even say that it’s a once in a lifetime experience. Once we arrived to the beach, some local guides took us to a strategic spot to view the thousands of Ridley sea turtles. We were able to see how the turtles made the journey from the water to the sandy beaches, and how they laid their eggs. It was an incredible experience how all the events take place to watch something so special in a certain place. We had the best luck and we appreciate everything that we saw. It’s cooking time! 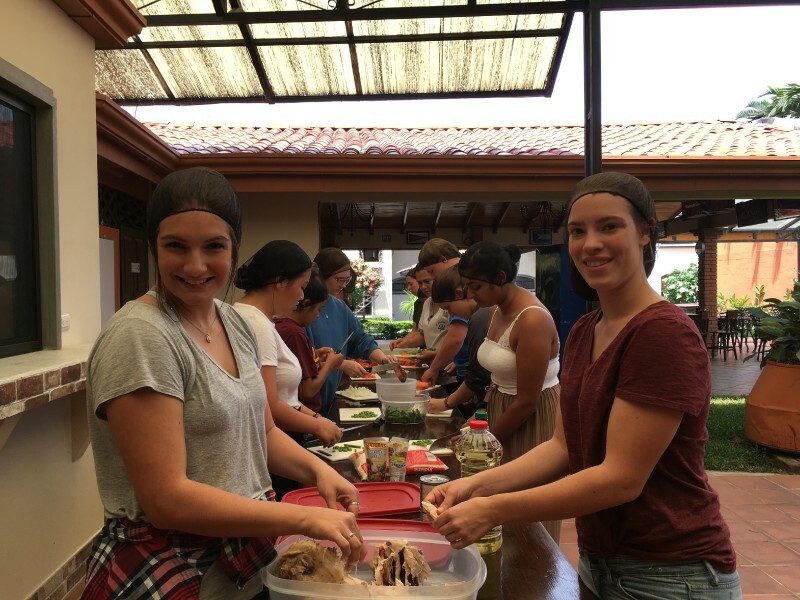 Thursday, the group was in charge of cooking their own Costa Rican lunch. Once everyone was prepared for the kitchen, they started preparing the ingredients for a traditional meal called Arroz con Pollo. 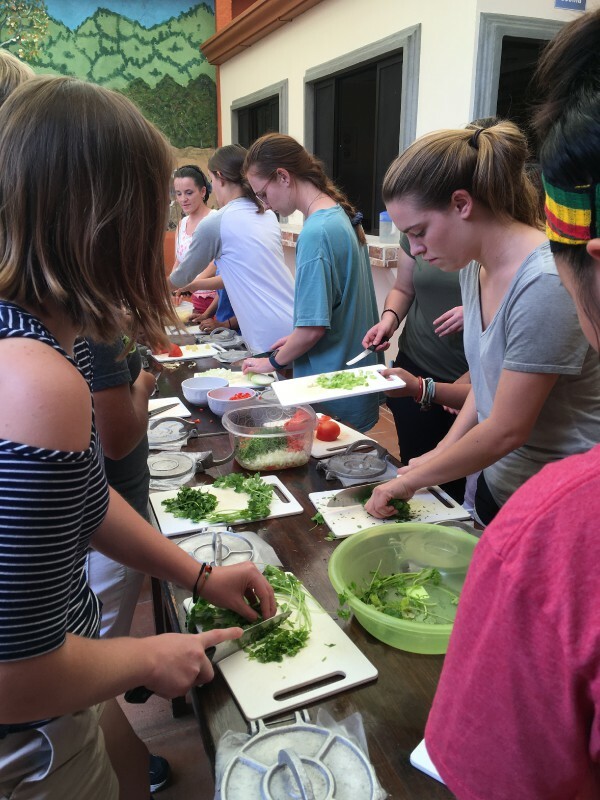 The cooking class was a total success and students not only learned how to cook but the verbs and ingredient words in Spanish. They enjoyed their hard work and had a delicious meal. 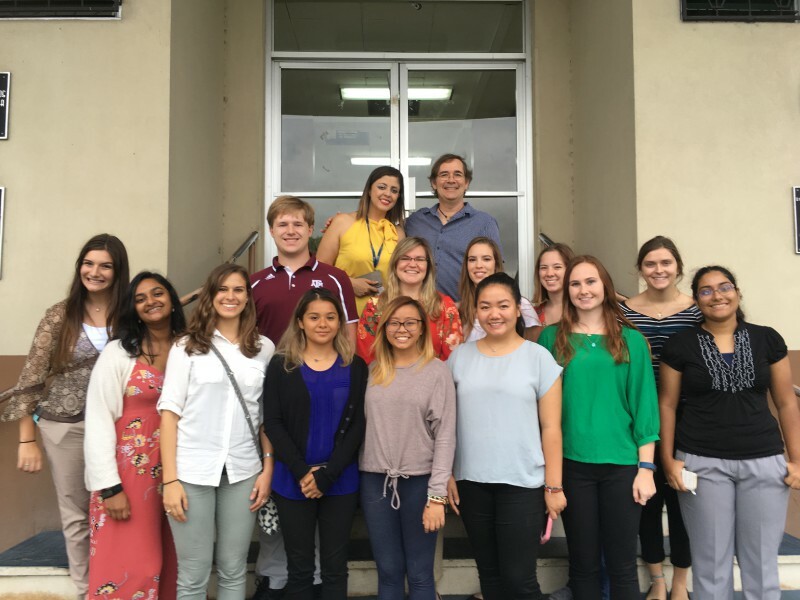 TAMU Biomedical was welcomed to Heredia on a pretty sunny afternoon. The hostfamilies were waiting expectantly at the CPI campus. Everyone was introduced and taken to their respective families. We waved hasta luego and good night to each other and that concluded day one in the Central Valley. Monday morning dawned hot and bright and everyone was a bit nervous but excited too, to start Spanish classes. The academic morning being over, it was time to cook out lunch. Our lunch was going to be rice and chicken, rice and vegetables, beans, salad, and juice, but first we had to help preparing the rice and all its ingredients, and make the salad. All hands on deck and we got to work! Lunch was yummy, thanks to everyone’s help. We then walked around the small town of San Joaquín. We saw practical landmarks like supermarkets, ATMs, the town square, soccer field, and a good coffee shop for an afternoon café. The following day the Spanish classes continued in the morning and lunch was at a local restaurant. From there our driver took us to a super cool veterinary hospital. 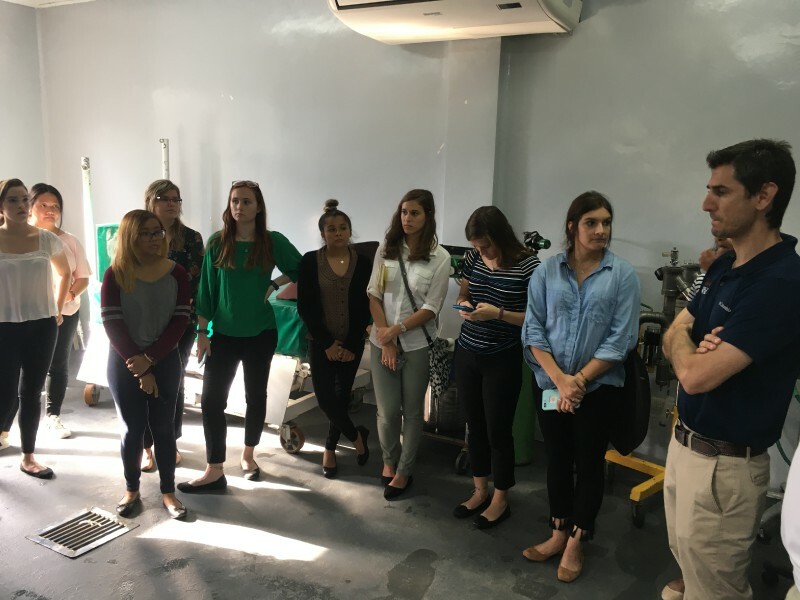 We were showed around the facility which includes shock room, gastroenterology consult, radiology, physical therapy, operating room, treatment room, lab, and it goes on and on. They had several doggie patients, both large and small. We even got to see the stalls and operating room for horses. Equine medicine is another service the Hospital offers. The week progressed with Spanish classes in the morning and visits and tours in the afternoons. One day we got a the public bus for an adventures ride to the city of Heredia, nicknamed La Ciudad de las Flores. (The City of Flowers) Nicknamed maybe for all its beautiful flowers decorating the houses and yards or perhaps it has to do to the local folklore that says there were two very beautiful sisters and their last name was Flores (meaning flowers). These two sisters attracted much attention so the place became known as the City of the Flores (flowers). 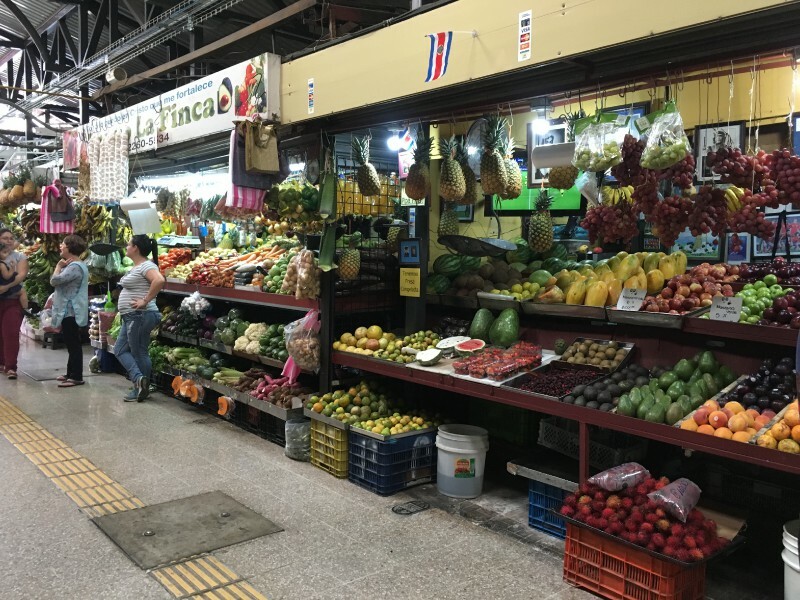 We visited the local market where the sights and smells brought us close to day to day life. The bustling of a local market is a rich cultural experience. Everything is up close and personal, the vendors calling out their wares, eating stands, clothing stores, and fruit and vegetable stands making for a lively and colorful afternoon event. On another afternoon we visited one of the biggest public hospitals in the Central Valley. 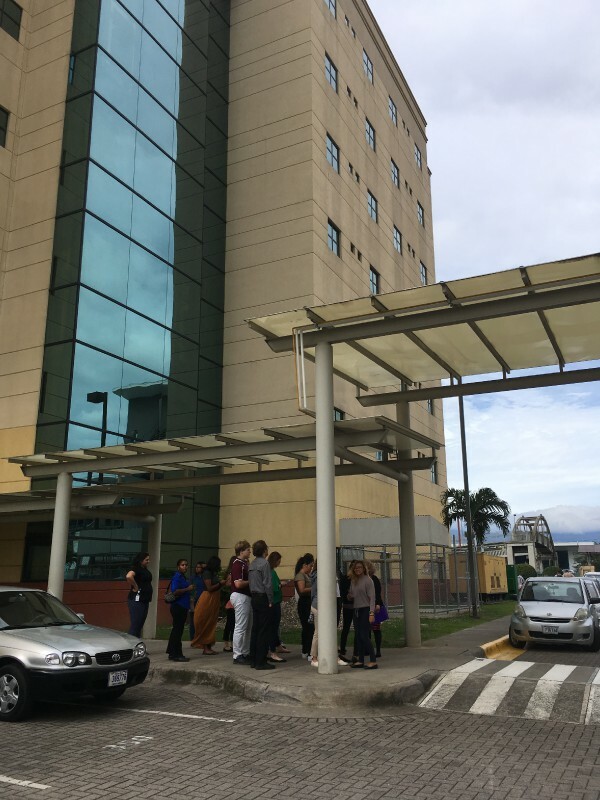 The Hospital Rafael Angel Calderón Guardia is named after a former Costa Rican president who worked for the rights, education, and health of the people, a very famous civil reformer. This Hospital is a Class A, level three hospital. One of three like hospitals in the Central Valley. 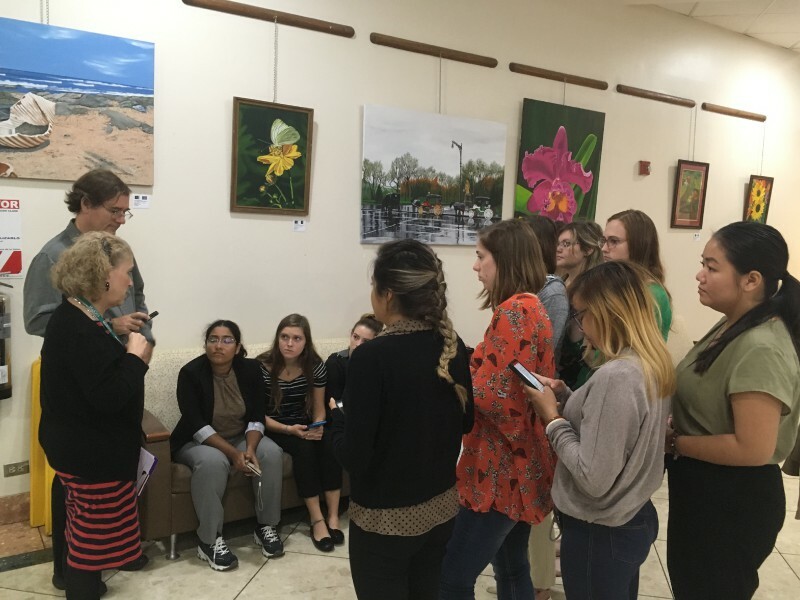 Our tour and talk took us to different areas of care. 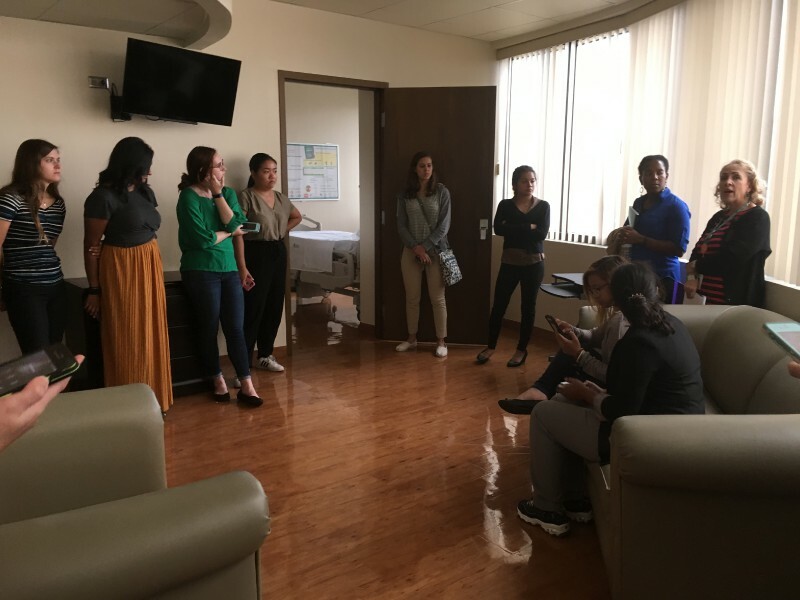 We learned about public health care in Costa Rica, social medicine, the history of the hospital, got to tour different care wings, and see how intricate and complex a hospital this size is. 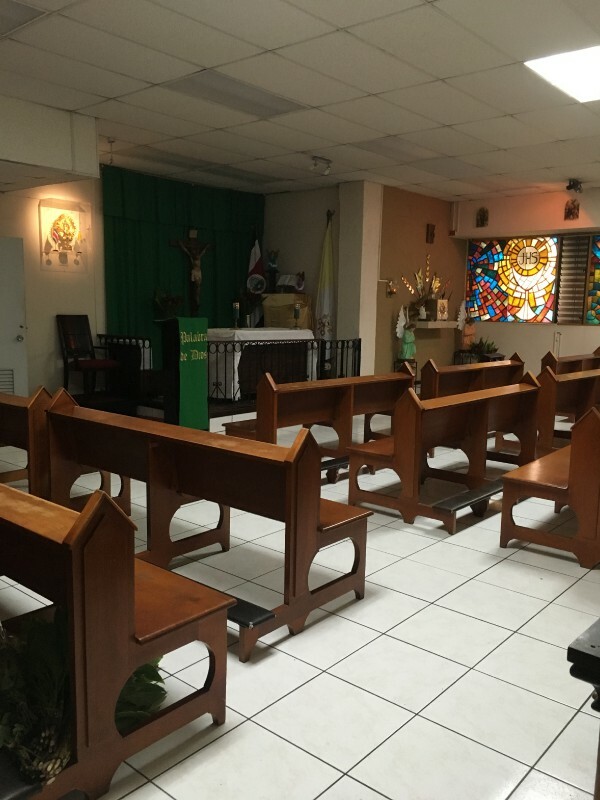 One interesting fact we learned is that since Costa Rica is a predominantly Catholic country the hospital has its own small church/chapel. There is Mass every day and the priests rotate and live in the hospital. So just like a doctor, the priest does his rounds, works, and lives there. Their rotations are a week long. The weekend found us white water rafting on the famous river Pacuare, ranked number four of the world for rafting. It was a long drive in the morning, and breakfast was waiting for us when we got to the operations center. The river was fun; the rapids making for an adrenaline filled morning. We got to experience rapids one, two, three, and a couple of them were even category four! We stopped for lunch and spent some time just chilling at the lunch site. After lunch we got back into our rafts and paddled another hour. Everyone was tired and happy and slept most of the way back to Heredia. 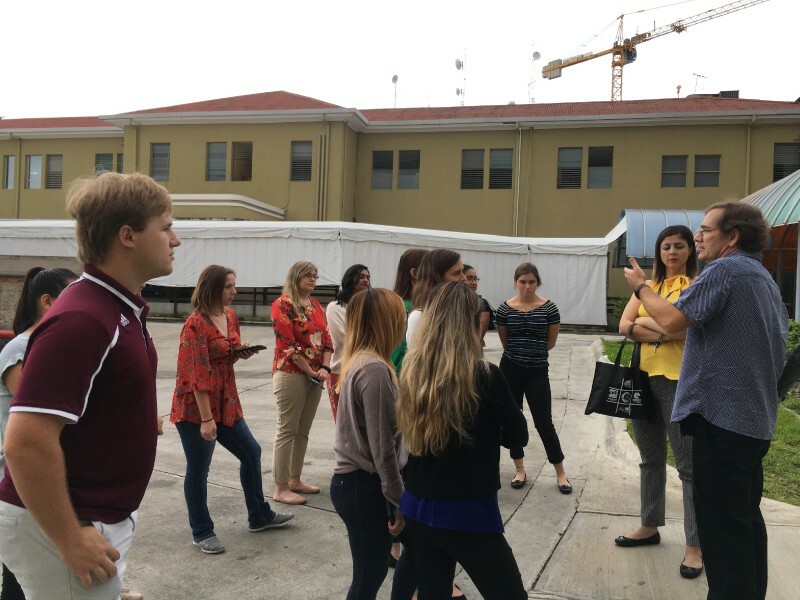 The second week TAMU had Spanish classes, time with host families, academic site visits, and a guest lecturer. On Monday of this second week dawned bright and warm. Morning Spanish classes started our day and then we got into the van for a visit to one of the Central Valley’s more high scale private hospitals, Hospital CIMA. We were met by a staff member who showed us around the hospital and talked about the different services offered, showed us the state of the art equipment, and we got a sense of the similarities and differences between a private hospital and a public one, having already visited the Hospital Calderón Guardia the week before. Next on the schedule was Doka Coffee Tour in the foothills of the Central Valley. It was a beautiful sunny afternoon and on our drive we had some spectacular views. After eating a delicious lunch we got a tour of the plantation. Although coffee is originally from the old world, it was introduced to Costa Rica in the mid 1700’s. The Central Valley has idea coffee growing conditions such as soil, weather, and location, among other things. Costa Rica began exporting coffee as early as 1832 to other countries like Chile and England. Coffee was known as the Golden Bean (grano de oro) since the revenue generated from coffee production surpassed other profitable crops like sugar cane and cacao. Some people also say it’s called the golden bean because when the coffee bean is dry it has a yellow color. The combination of the color and it being so profitable might be the reason for the nick name. Coffee plantations and wealthy barons grew fast. This, coupled with government ties, made so that the coffee economy was a secure and lucrative venture. Today Costa Rica is one of the leading coffee producing and exporting countries in the world, its coffee ranked one of the highest in quality. Doka started in the 1940s as a coffee plantation and as the years went by they grew into the well known coffee tour they are today. This venture is owned and operated by one family. We were lucky and got to see the washing and peeling process. The washed coffee beans are sun dried and later stored in sacks until it is decided what kind of roasting is to be used to finalize the entire process. Overall it was a fun day and one we enjoyed! 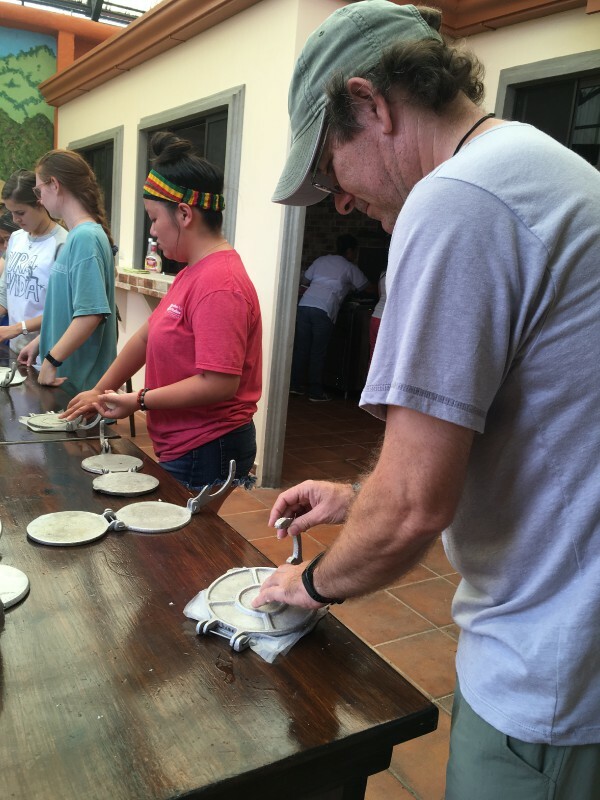 That same week we had another cooking class where we learned and had fun making tortillas. Even though it seemed like many tortillas were made, they were so good they were eaten very quickly. We also ate picadillo de papa (a finely chopped and cooked potato dish). Fruit juice complemented lunch. In the afternoon we had a special guest lecturer. 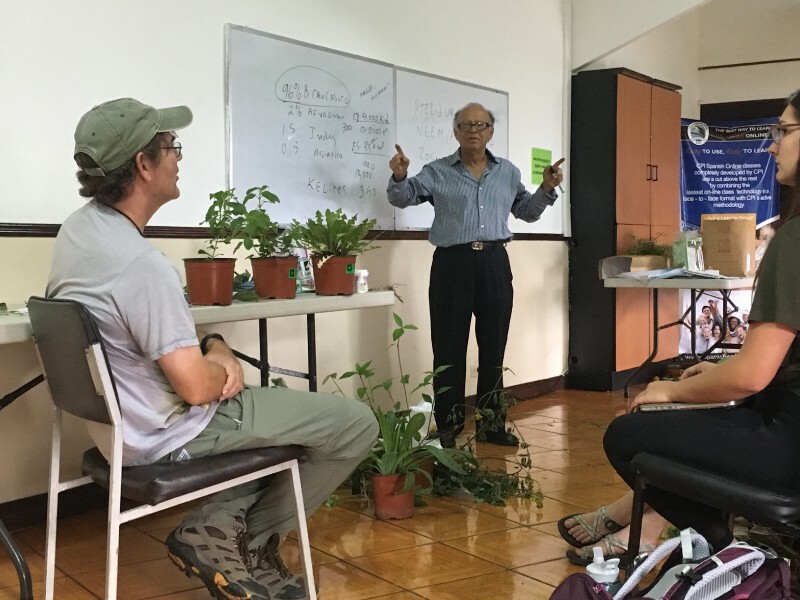 He showed us a myriad of Costa Rican plants and talked about the medicinal properties, myths, and more or each. He also touched on the use of medicinal plants for animals. The talk was interactive and involved. On the last weekend we had a San José city tour. We drove to San José where we were met with a local guide who showed us around the heart of the city. He told us about the beginnings of the city, the history of the early presidents, took us to the Central Market, among many other things. We got to tour the spectacular National Theater and Museum. The final day of TAMU in Heredia dawned bright and sunny. It was time to travel to other destinations and learning opportunities. We had had a wonderful two weeks where we shared all kinds of experiences, weather, and learned about each other in our interactions. Hasta luego TAMU, until next time!